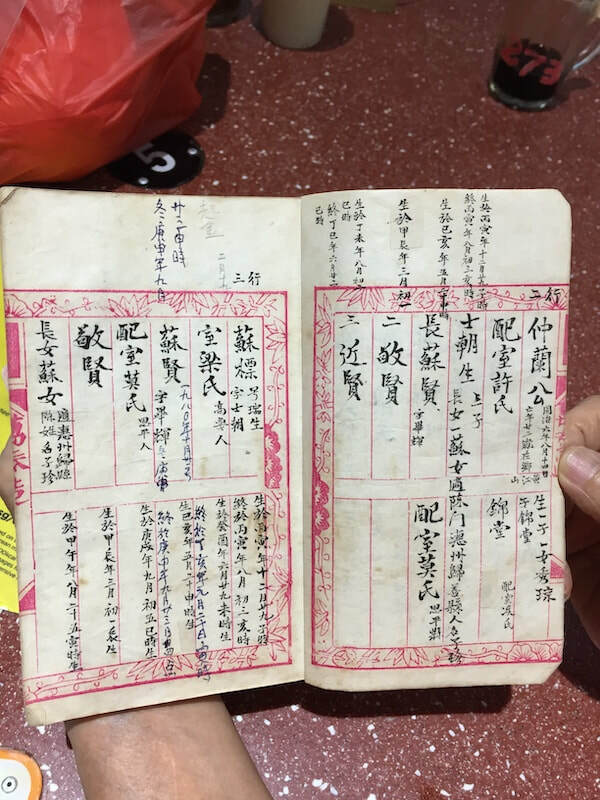 "These three brothers were my ancestors from Zhaoqing, China. They planned all the middle names for their 14 generations and comes in like a poem. This book is from 1627 and has been handed down throughout the generations. My late older brother passed it to me. 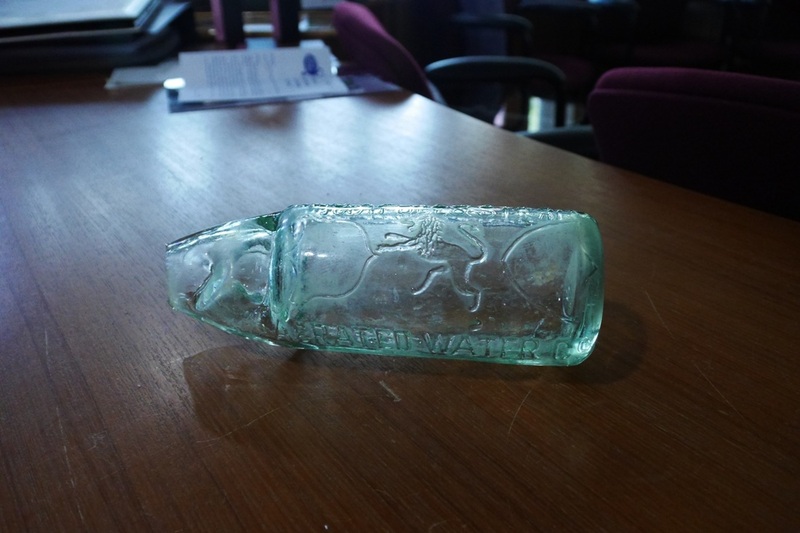 “I found this bottle at Novena Church in December 2014 which is undergoing a rebuilding, while walking around to take photos. 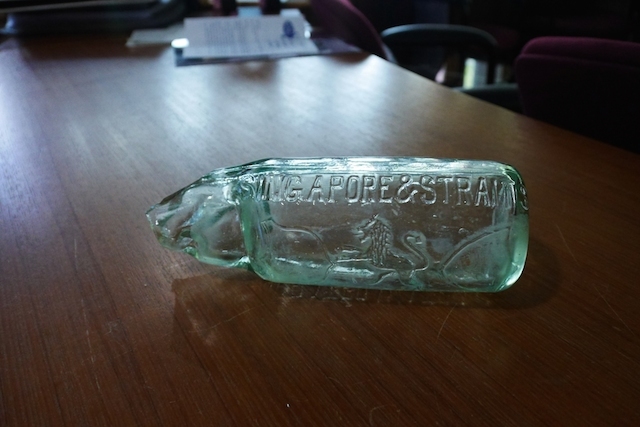 The glass imprint on the bottle, Singapore and Straits Aerated Water Company is the name of the company which was formed in 1883 by John Fraser and David Chalmers Neave. It was originally a printing business but diversified to aerated water. 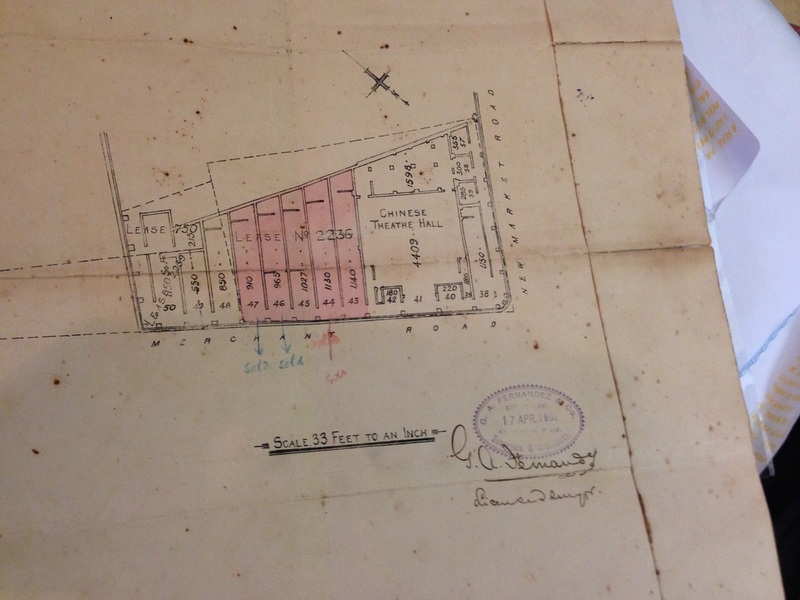 In 1898, a new public company was formed and it was named Fraser & Neave (F&N). I decided to pick it up and keep it in the archives. Sadly the top is broken." 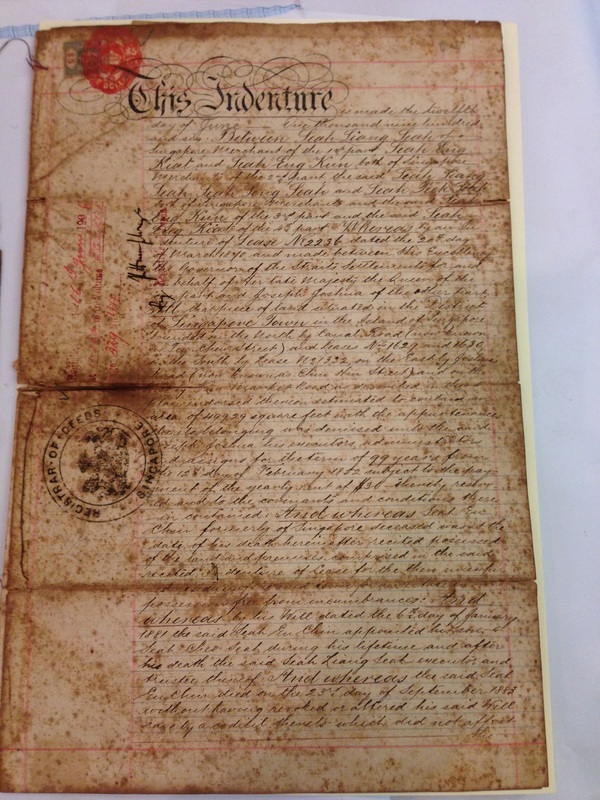 "These are the title deeds for my grandfather's first shop at 15 Merchant Road (today, it is the road leading to the tunnel) dated 1906. 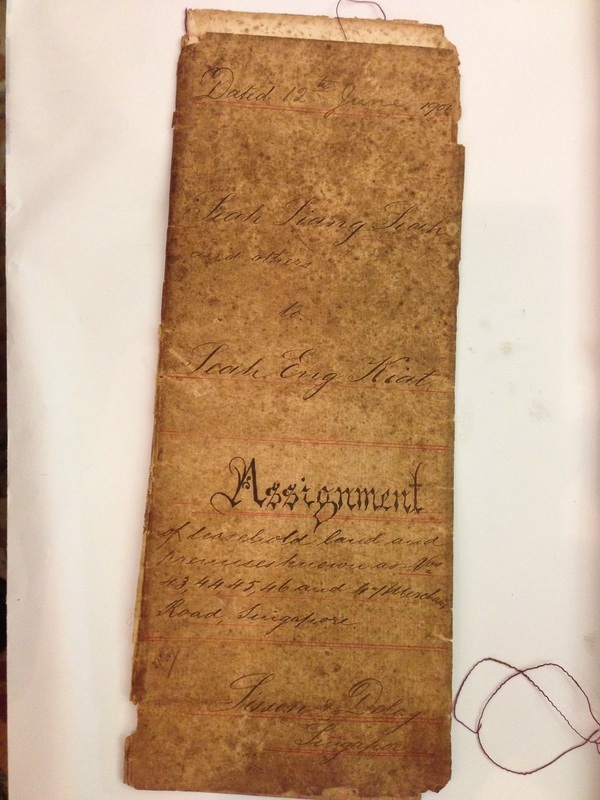 As it is the first shop owned by grandfather, I decided to keep these deeds." “The ornate cupboard (at the top) has three-tiered shelves with a drawer below it. 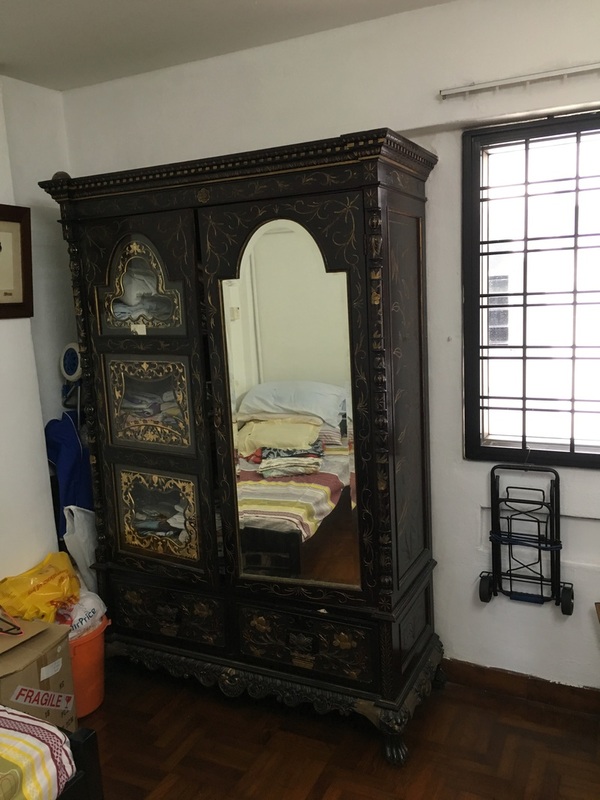 On the right side is the mirror and inside is for hanging clothes. 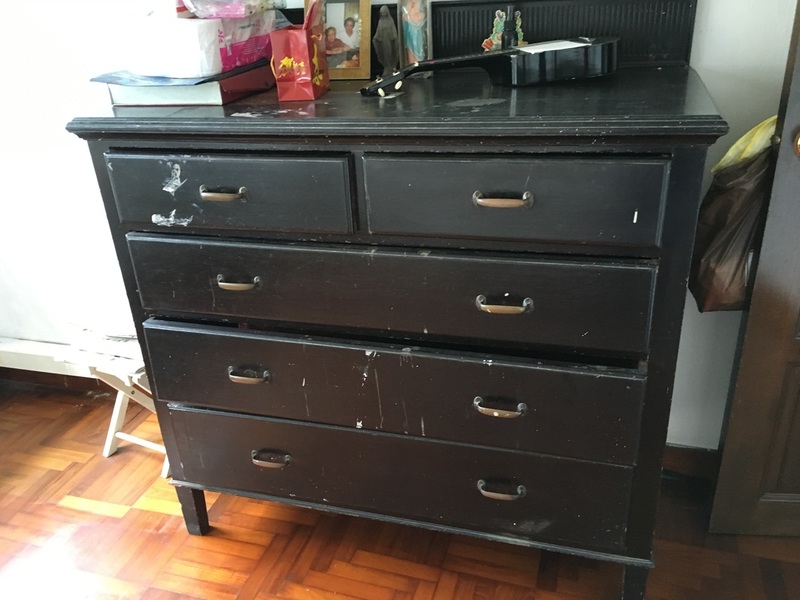 There is also a drawer below it. 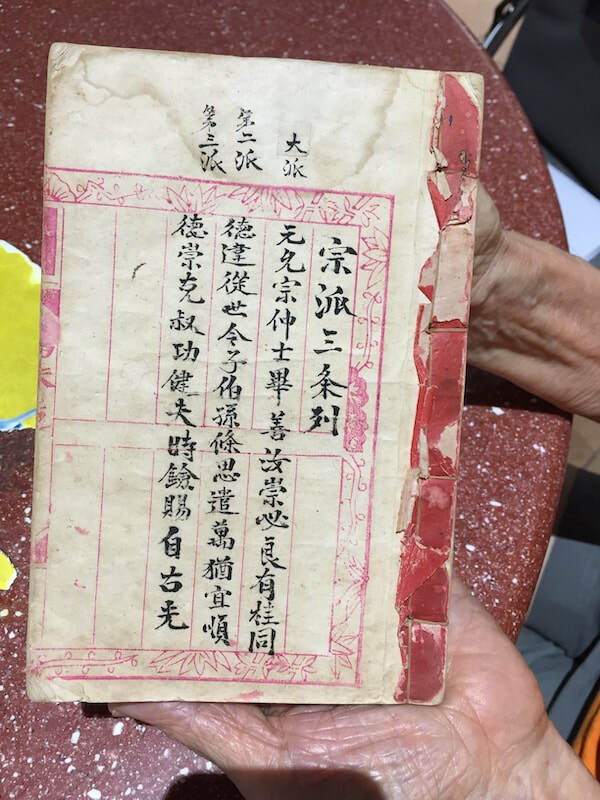 The original owner was my late grandfather Chan Hai Sing, who was selling mirrors and glassware at Change Alley. He had three wives – he was not a Casanova as the other two wives were gained due to the first wife’s encouragement. My father passed on 12 years ago, while my mother died last October. 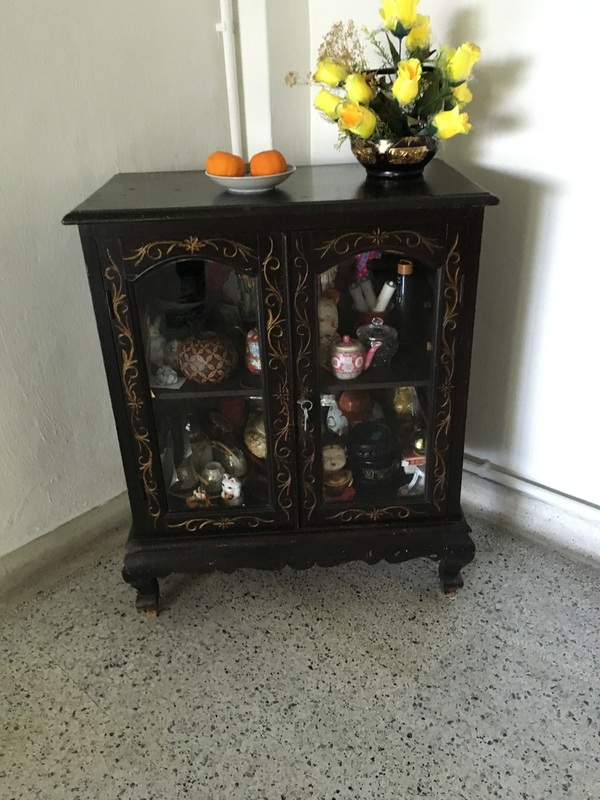 A year before she died, my mother sold a lot of the Peranakan items including a bench. However, she gave my siblings and me some of the items including the furniture and portraits of both my grandmother and grandfather as they were in local attire of that period and were framed in Victorian glasses.